A perfect Greenbrier moment. 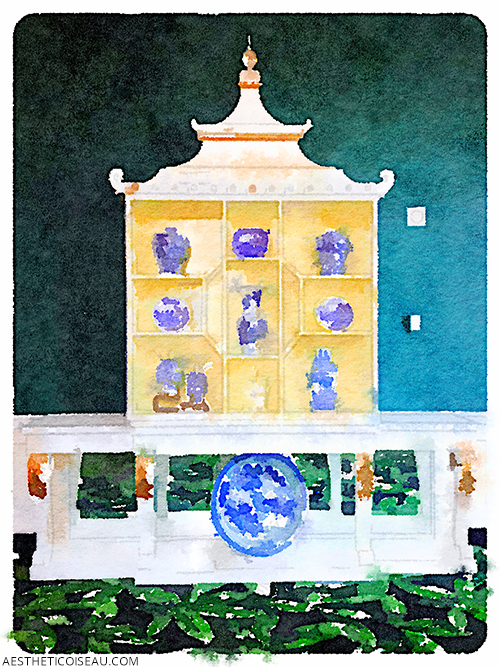 This Chinoiserie cabinet was larger than life and set against the most beautiful green wall and carpet...it was a showstopper in person! 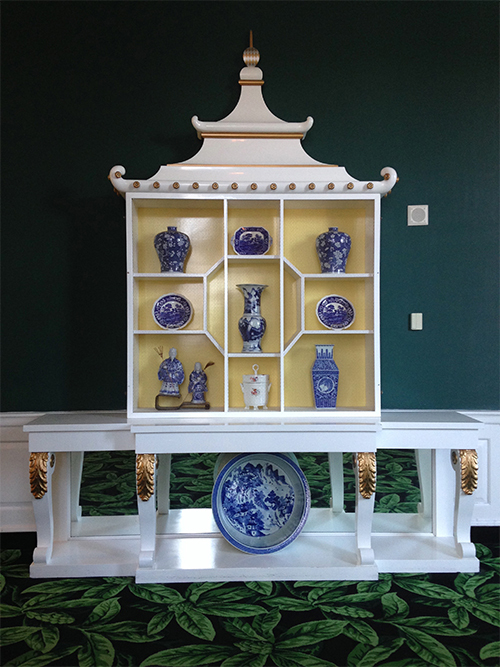 And of course, I was completely smitten with the blue and white porcelain collection it displayed. My friend Christopher was born on CHRISTMAS ! Good luck!!! I think the watercolor is better than the normal photo - the contrast helps.